There are 11 megadeltas with an area greater than 10,000 km2 (Table 10.10) in the coastal zone of Asia that are continuously being formed by rivers originating from the Tibetan Plateau (Milliman and Meade, 1983; Penland and Kulp, 2005) These megadeltas are vital to Asia because these are home to millions of people, especially the seven megacities that are located in these deltas (Nicholls, 1995; Woodroffe et al., 2006). The megadeltas, particularly the Zhujiang delta, Changjiang delta and Huanghe delta, are also economically important, accounting for a substantial proportion of China's total GDP (Niou, 2002; She, 2004). Ecologically, the Asian megadeltas are critical diverse ecosystems of unique assemblages of plants and animals located in different climatic regions (IUCN, 2003b; ACIA, 2005; Macintosh, 2005; Sanlaville and Prieur, 2005). However, the megadeltas of Asia are vulnerable to climate change and sea-level rise that could increase the frequency and level of inundation of megadeltas due to storm surges and floods from river drainage (Nicholls, 2004; Woodroffe et al., 2006) putting communities, biodiversity and infrastructure at risk of being damaged. This impact could be more pronounced in megacities located in megadeltas where natural ground subsidence is enhanced by human activities, such as in Bangkok in the Chao Phraya delta, Shanghai in the Changjiang delta, Tianjin in the old Huanghe delta (Nguyen et al., 2000; Li et al., 2004a; Jiang, 2005; Li et al., 2005; Woodroffe et al., 2006). Climate change together with human activities could also enhance erosion that has, for example, caused the Lena delta to retreat at a rate of 3.6 to 4.5 m/yr (Leont'yev, 2004) and has affected the progradation and retreat of megadeltas fed by rivers originating from the Tibetan Plateau (Li et al., 2004b; Thanh et al., 2004; Shi et al., 2005; Woodroffe et al., 2006). 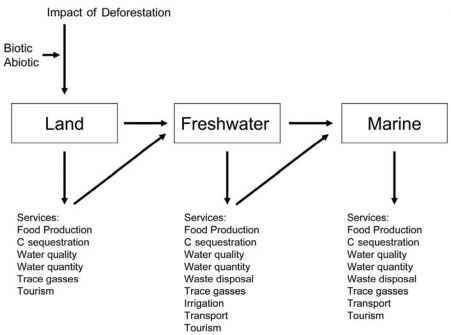 The adverse impacts of salt-water intrusion on water supply in the Changjiang delta and Zhujiang delta, mangrove forests, agriculture production and freshwater fish catch, resulting in a loss of US$125x106 per annum in the Indus delta could also be aggravated by climate change (IUCN, 2003a, b; Shen et al., 2003; Huang and Zhang, 2004). Externally, the sediment supplies to many megadeltas have been reduced by the construction of dams and there are plans for many more dams in the 21st century (Chapter 6, Box 6.3; Woodroffe et al., 2006). Reduction of sediment supplies make these systems much more vulnerable to climate change and sea-level rise. When considering all the non-climate pressures, there is very high confidence that the group of populated Asian megadeltas is highly threatened by climate change and responding to this threat will present important challenges (see also Chapter 6, Box 6.3). The sustainability of megadeltas in Asia in a warmer climate will rest heavily on policies and programmes that promote integrated and co-ordinated development of the megadeltas and upstream areas, balanced use and development of megadeltas for conservation and production goals, and comprehensive protection against erosion from river flow anomalies and sea-water actions that combines structural with human and institutional capability building measures (Du and Zhang, 2000; Inam et al., 2003; Li et al., 2004b; Thanh et al., 2004; Saito, 2005; Wolanski, 2007; Woodroffe et al., 2006). Himalayan glaciers cover about three million hectares or 17% of the mountain area as compared to 2.2% in the Swiss Alps. They form the largest body of ice outside the polar caps and are the source of water for the innumerable rivers that flow across the Indo-Gangetic plains. Himalayan glacial snowfields store about 12,000 km3 of freshwater. About 15,000 Himalayan glaciers form a unique reservoir which supports perennial rivers such as the Indus, Ganga and Brahmaputra which, in turn, are the lifeline of millions of people in South Asian countries (Pakistan, Nepal, Bhutan, India and Bangladesh). The Gangetic basin alone is home to 500 million people, about 10% of the total human population in the region. The receding and thinning of Himalayan glaciers can be attributed primarily to the global warming due to increase in anthropogenic emission of greenhouse gases. The relatively high population density near these glaciers and consequent deforestation and land-use changes have also adversely affected these glaciers. The 30.2 km long Gangotri glacier has been receding alarmingly in recent years (Figure 10.6). Between 1842 and 1935, the glacier was receding at an average of 7.3 m every year; the average rate of recession between 1985 and 2001 is about 23 m per year (Hasnain, 2002). The current trends of glacial melts suggest that the Ganga, Indus, Brahmaputra and other rivers that criss-cross the northern Indian plain could likely become seasonal rivers in the near future as a consequence of climate change and could likely affect the economies in the region. Some other glaciers in Asia - such as glaciers shorter than 4 km length in the Tibetan Plateau - are projected to disappear and the glaciated areas located in the headwaters of the Changjiang River will likely decrease in area by more than 60% (Shen et al., 2002). Table 10.9. Record of retreat of some glaciers in the Himalaya.